Owning your own home is one of many American dreams, but it comes with numerous responsibilities. Among them is keeping mold away from your property structure. While certain seasons are harder than others to prevent the accumulation of moisture, keeping a dry living environment in all areas of the home is the key to preventing mold growth. 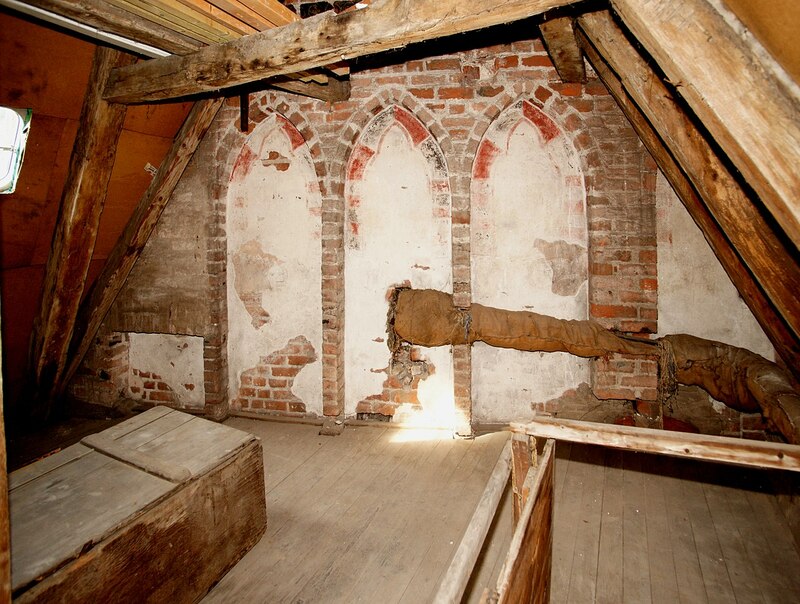 But when it comes to the attic and crawlspace, preventing and removing it can be especially difficult because they are moisture-rich, small spaces. Therefore, the mold removal job can be costly, due to the amount of time and resources needed for the project. On the other hand, there are always steps you can take to prevent this costly problem from happening in your attic and crawlspace. Below is a list of tips that can be taken to keep moisture to a minimum while providing some much needed peace of mind. As soon as these problems are fixed, you shouldn’t have to worry too much about mold invading this storage space anytime soon. Inspect roof valleys (where two roofs join at an angle). Check for leaks in the piping. Check for vapor condensation if you have a vapor barrier. All mold starts with the accumulation of moisture. Inspect chimneys, attic windows, skylights, and all corners where two different kinds of materials are connected. These spaces are known for hiding moisture. If you are unable to fix the leak yourself, don’t hesitate to call a roof repair specialist right away to prevent the damage from becoming worse. Dryer vents, plumbing stacks, and bathroom fan vents should never end in the attic. This will quickly lead to accumulated moisture and even a mold infestation in the attic. At any time there is poor ventilation throughout the home, that particular area is prone to mold growth from the lack of air circulation. If you already notice mold growth in this affected area, call a mold remediation service to have it removed and then inspect the area to determine why it was caused here. If the ventilation is poor anywhere in the home, moisture from activities such as cooking and showering will accumulate in the attic and allow for mold growth. Never install insulation over ventilation as the material is perfect for trapping moisture and growing mold. 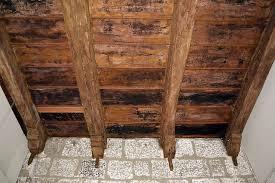 If attics aren’t the most common space in the home for mold growth, it’s crawlspaces. 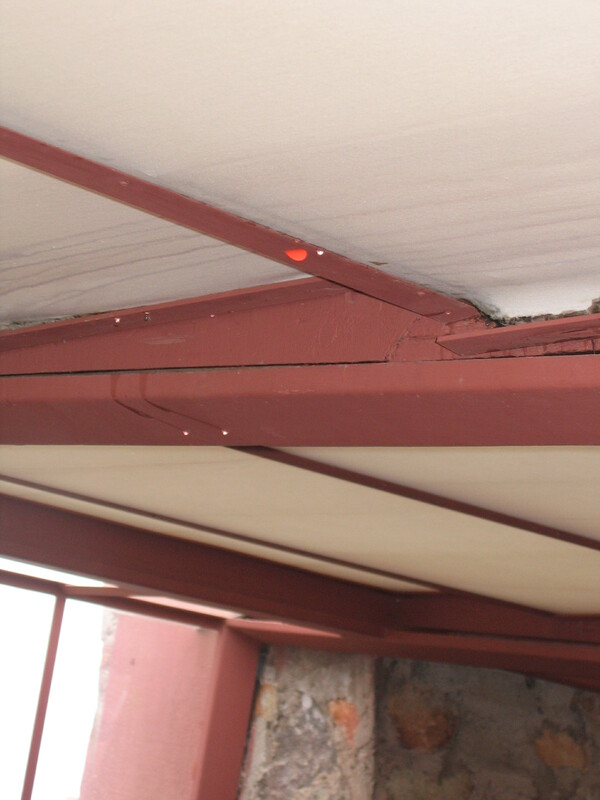 As these areas often have high humidity levels, you have to be aggressive when keeping the fungus out of this area. If you think about the location of your crawlspace, it being underneath the house and on top of the ground, moisture from the ground resonates into this area. As mold is very common to find outside, it will naturally grow on the ground between your home and foundation. Sometimes the moisture will evaporate on dryer days, but after a few rainy ones, it won’t be long that mold spores start to develop. Especially with poor ventilation, the growth will start on the subflooring and walls, eventually leading up into the home. While it can be difficult because the crawlspace is small, there are steps that can be taken to keep moisture to a minimum in this area. It may not seem important, but you may notice a significant difference once all of the mold is gone. Inspect the walls of the foundation to see if there are any cracks that can hold excess moisture. They can also act as a passageway for water to run through and damage the interior building materials. Ensure that all gutters and downspouts are free of debris and run away from the property. If it runs into the foundation, it can rise back up and accumulate in the crawlspace. Make sure that the area is properly ventilated to allow dry air to flow around the small space. For vented crawlspaces, check to see that there is insulation between the joists to protect the sub flooring above. It will need to be held in with fasteners and the paper side should face the subfloor. Inspect for leaks around the air ducts and plumbing work. Make sure that the dryer vents do not lead to the crawlspace, rather, outside of the house. Now that you have seen there are a number of steps that can be taken to prevent mold in the most common places for holding it, it’s impossible to guarantee that it won’t show up. In fact, research has shown that over 60% of all homes contain mold in these areas. But addressing the problem as soon as you find it is crucial to saving time and money on the mold remediation project. 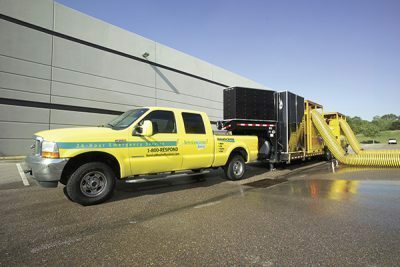 When looking for a service, check out your local ServiceMaster. Not only do they provide free estimates, but they are licensed and experienced to remediate all spores, remove the source, and prevent it from returning in the future. This is done with commercial products and equipment that are designed to penetrate the substance at the source, ensuring that it won’t grow back again in the future. Call your local ServiceMaster for more information on how they can help your situation or for a free quote.